I love cookbooks, but I don't think I've loved one as much as I'm loving this one. The Amish Family Cookbook by Jerry and Tina Eicher. I can't stay enough good things about this cookbook and you HAVE to get out there and buy it for yourself, you won't regret it. Fantastic is all I can say, just out of this world delicious recipes. The family devoured this one and there was nothing left for leftovers. 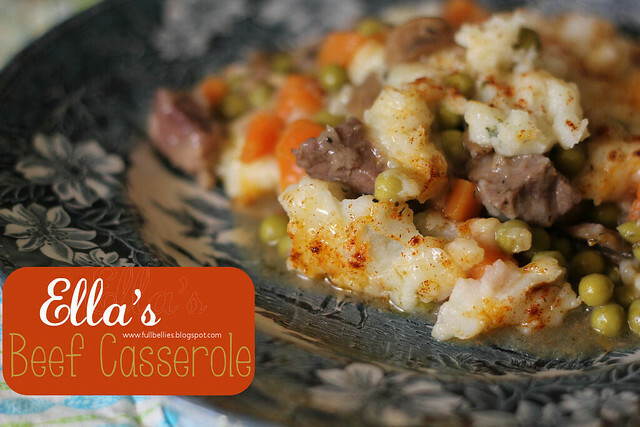 It bakes in the oven for about 2 hours and it tastes like it's been cooking all day long. It's delicious. In a large resealable bag, combine flour, salt and pepper; add beef cubes and shake to coat. In a skillet, brown beef in oil. 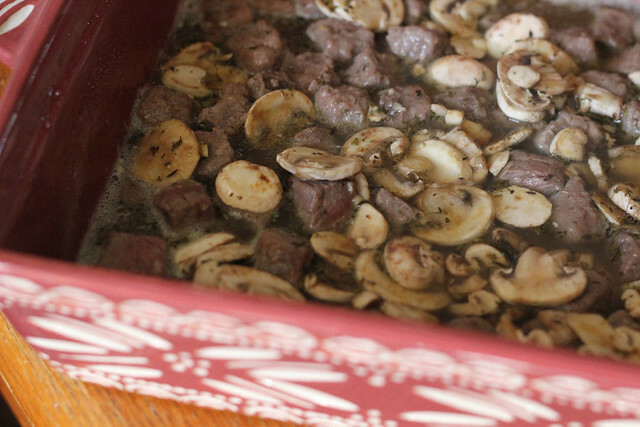 Place beef and drippings in a greased shallow baking dish. To skillet, add water, broth, garlic, onion, thyme, and rosemary; bring to a boil. Simmer, uncovered, for 5 minutes; stir in mushrooms. Pour over meat; mix well. Cover and bake at 350 degrees for 1 1/2 to 1 3/4 hours or until beef is tender. Sprinkle peas over meat. Spread potatoes evenly over top. Brush with butter; sprinkle with paprika. Bake 15 - 20 minutes more. Yield: 6-8 servings. Delicious healthy home cooked food! Yum! !